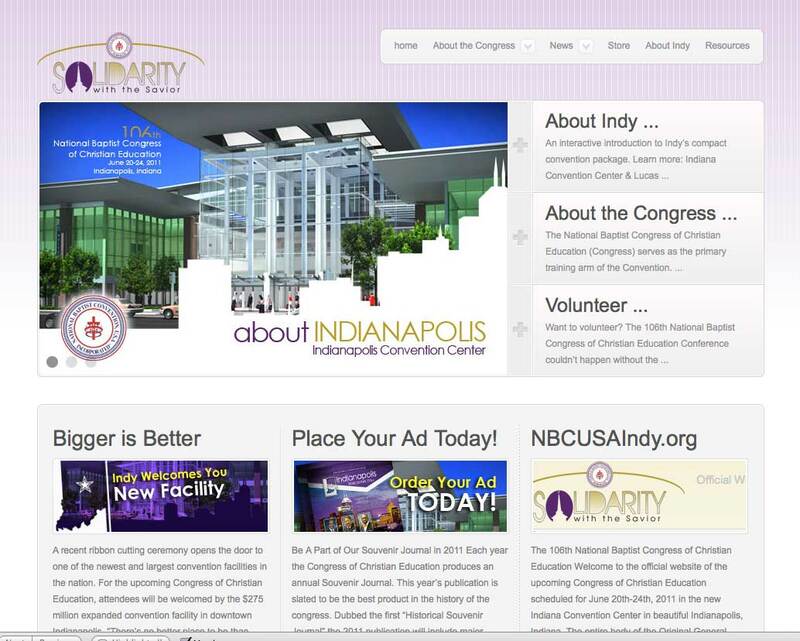 I’m excited to be part of the upcoming Congress of Christian Education to be held in Indianapolis, Indiana on June 20-24, 2011. My services were requested to create the overall brand for the conference and several print and web products. You can see our work all over the convention marketing. Check out the new website that is up and available. I really like the store integration which houses all of their products and services. The store allows anyone to purchase tickets, ads for their journal and pay their courtesy car fees all in one spot.